NI, the provider of systems that enable engineers and scientists to solve the world’s greatest engineering challenges, hosted the India Defence and Aerospace Symposium 2017 in association with Society of Indian Aerospace Technologies and Industries (SIATI). 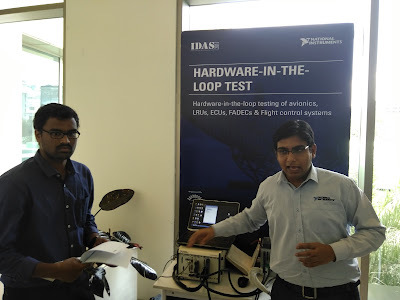 The symposium which witnessed a footfall of 500, was attended by engineers, scientists, managers and professionals in the aviation, space and defence industries and focused on navigation, RADAR, Electronics Warfare, Military Communications, Satellites as well as test rig construction and HIL. 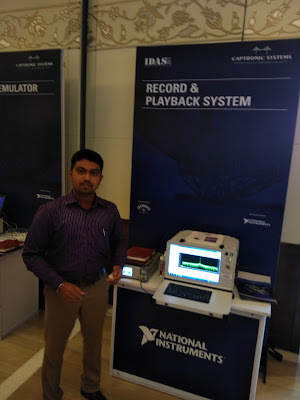 At the event, NI showcased how the design, development and test challenges of the Indian Aerospace & Defence (A&D) Industry can be integrated by smart platforms & tools powered by ready-made technology.The diverse set of industry experts present, shared their ideas on revolution in simulation and test solutions, challenges of RADAR design & test, advanced techniques for phase aligned RF signal generation & acquisition and data acquisition systems for A&D applications.